Grand Theft Auto V, BioShock Infinite and The Last of Us lead this year's pack of Spike VGX nominees. This year's slate of Spike VGX - formerly the VGAs, renamed to VGX earlier this month and no, we still don't know what the "X" stands for - nominees has been announced, and it should come as little surprise that Rockstar's Grand Theft Auto V tops the list with nine nominations including Best Action Adventure Game, Best Soundtrack and Game of the Year. Following closely behind is BioShock Infinite with eight nominations and The Last of Us, which pulled in seven. Spike says the rechristened VGX "will abandon the traditional Hollywood style award show to feature more world premiere game trailers than ever before, plus extended deep dives into the next generation of games, new looks at gaming culture, one-on-one interviews with the industry's most visionary creatives and expert panels digging into what's coming to consoles in 2014 and beyond." The show will be "more games, less fame, in an intimate studio setting," the press release claims, although whether Spike has the wherewithal to make that happens is a an awfully big question. Many of you will note that Far Cry 3: Blood Dragon is a stand-alone game and thus not DLC by most measures, but hey, what's an award show without a little controversy? VGX nominees and winners are chosen by the "VGX Advisory Council," made up of game journalists from a number of sites that don't include this one, with the exception of "Most Anticipated Game," which will be selected by the public from amongst Destiny, Titanfall, South Park: The Stick of Truth, The Witcher 3: Wild Hunt and Watch Dogs. 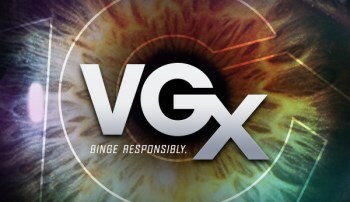 The Spike VGX show airs on December 7.